The rate is € 90 for a single night, based on double occupancy for bed and breakfast. Stay 2 nights or more and the price is € 77.50 per night for B&B. Once upon a time Ballinclea House had 11 bedrooms, even though the number of bedrooms reduced, the room sizes got bigger and Number Eleven always kept its name. Number Eleven is directly opposite the guest lounge and dining room where guests can enjoy a complimentary Irish coffee. 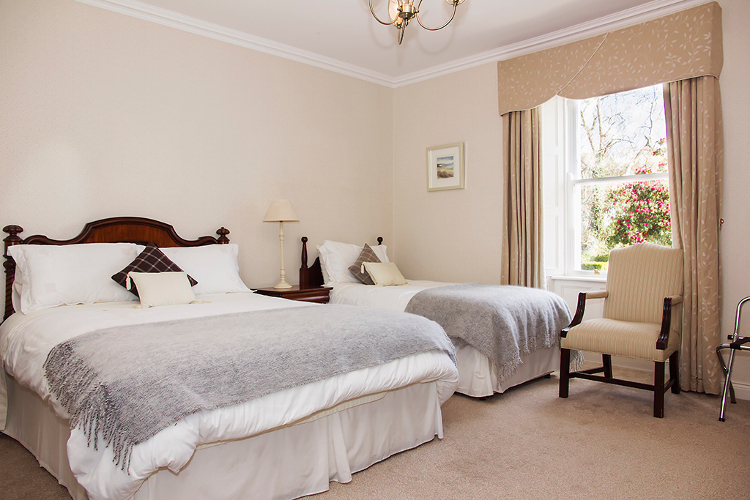 The bedroom has a king size double bed and single bed. The ensuite has a bath with overhead shower. 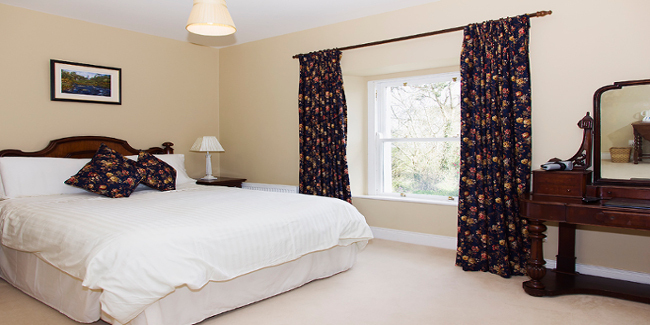 A double room with sea views Relax in the Davoren Room, offering our best value at € 90 a night for bed and breakfast. 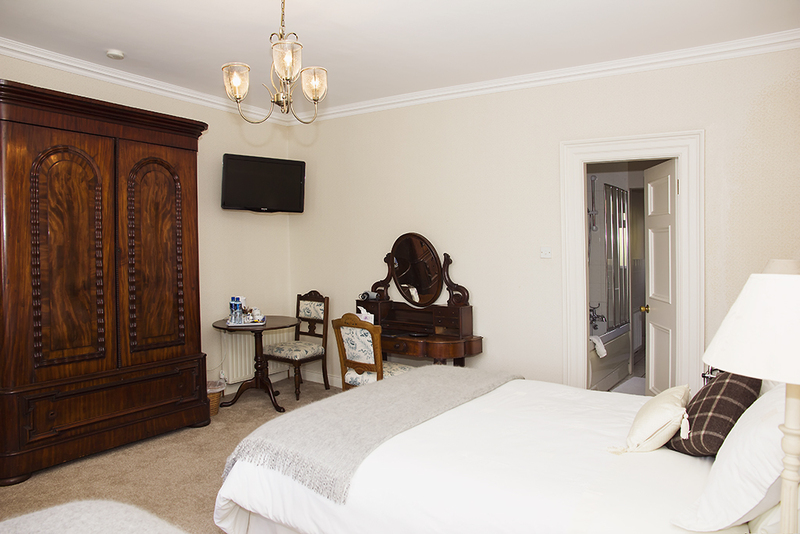 A Large Luxurious Suite The Russell Suite offers our guests a little slice of luxury with a super king size bed and private sitting room. Ballinclea House accepts all major credit and debit cards.